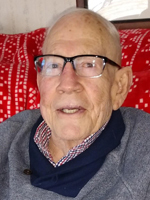 Bill S. Holmes, 80, passed on Thursday, February 7, 2019 in peace. He was born in 1938 in Pike County, KY. Bill was a loving husband, father, grandfather, son and friend. He was a wonderful person with an awesome personality. He loved his family, friends, home and most of all his relationship with God. He served as a radarman on the Admiral’s staff in the Navy. Bill was a Police Detective with Newport News Police Department and a Deputy Sherriff with James City County. He retired as a Security Facility Manager at the Daily Press. Bill graduated Thomas Nelson Community College with a degree in Criminal Justice. He loved to play his guitar, watch sports, read the newspaper and loved doing for others. He loved his adopted cat and all the neighborhood strays. He will be missed by all who knew and loved him. Bill is survived by his wife of 32 years, Brenda Holmes; his children, Martin Craig Holmes and wife, Pam, Kimberly Tillostson and husband, Tom; his grandchildren, Sawyer Leigh and Shelby-Layne Tillotson, and Jacob and Rebecca Holmes; and his special niece and nephews, Crystal Miller, Michael Bunn and Tommy Cale. A Memorial Service will be held at 11:00 am on Monday, February 11, 2019 at North Hampton Christian Church by Rev. Chris Stanley. In lieu of flowers, donations can be made to North Hampton Christian Church, 1409 Todds Lane, Hampton, VA 23666. Arrangements are by Weymouth Funeral Home.